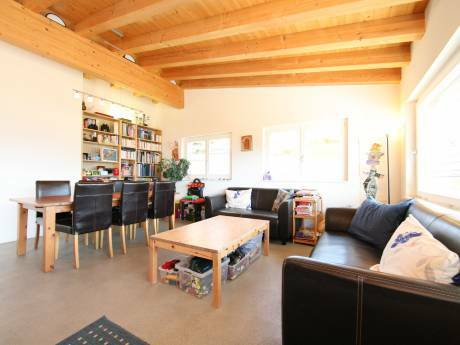 New comfortable 3-room-apartment with two balcony with very beautiful view to the highest mountains in Swiss alps. Modern kitchen with all you need. One bedroom with douple bed and the other one with 2 single beds. Living room with sofa where can sleep 1 or 2 persons. WC/bathroom. All floors in stone or parquet. Apartment in first floor acces with lift. We live in a village close to Basle. We have two children 23 and 25 yers old. We are non smokers. We like hiking, swimming and skiing. We are doing a lot in our house and garden. My wife works in a office and I'm purchasing manager. 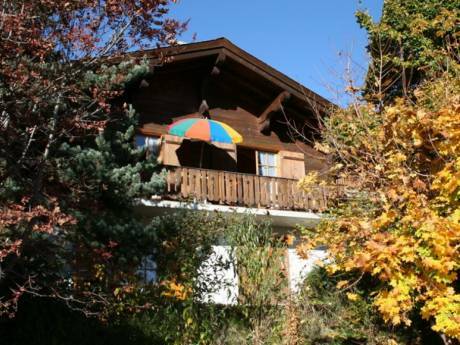 The hous/apartment located to the periphery of the village with directly acces to skiing area in winter time. Sommer skiing on glaciers. Shops distance 5 minutes. Clean alpine air because there are no cars in the village (in front of the villige good possibility for parking privat cars). The apartment reachable in 10 minutes walking or by electro taxi. 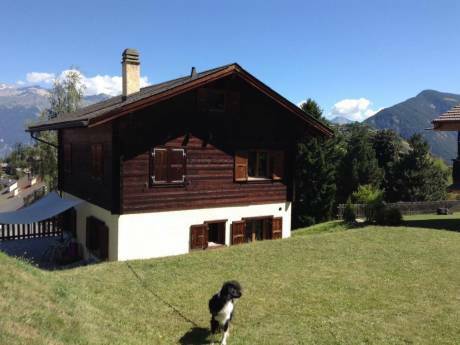 For more information please visit website www.saas-fee.ch or send us your e-mail.